The first week of spring signifies that sun, bronzed skin, sandals and bare legs are just around the corner. With this drastic change in scenery a lot of ladies like to do a complete overhaul of their look, especially with their hair. Blonde manes are warmed up and rich browns are adorned with honey-hued highlights. Often times, changing your brow colour to compliment your new ‘do is an afterthought, nonetheless it is something that shouldn’t be overlooked. But beware, matching your brow colour exactly to your lightened hair can look unnatural and draw attention in all the wrong ways. 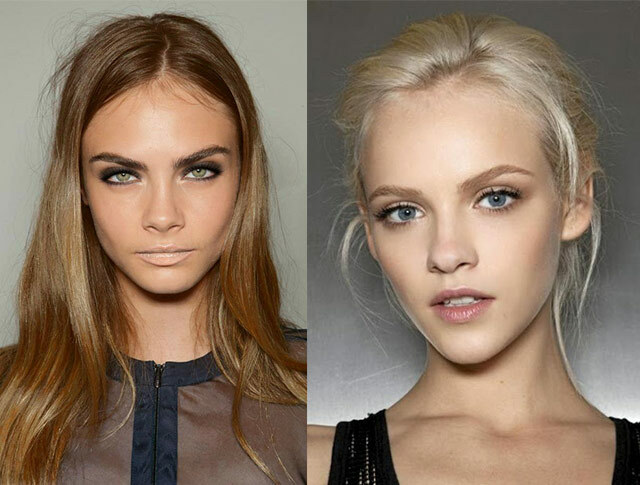 The general rule of thumb for brow to hair uniformity: Blondes should go a shade darker and brunettes, a shade lighter. Luckily we offer brow tinting services and are here to help you achieve a summer complexion with summer brows! Forget eyebrow pencils and gels, tinting is an easy way to streamline your beauty routine. You can trust our professionals to apply even tones and the perfect shade to achieve a summer complexion with summer brows. We get you comfortable and protected before applying our vegetable-based dye to your brows. For all you colour chameleons, our brow tinting also happens to be semi-permanent so you can easily change up your brows to compliment your new locks.